Another common area of concern for Franklin Lakes, NJ homeowners is taking care of your need for outlet repairs. That is because this is another of those seemingly unimportant tasks that could actually be a major red flag. Here at Orr Electric, we have seen one too many times when an ignored electrical issue led to something much more severe, and all over something that could have been dealt with and fixed. 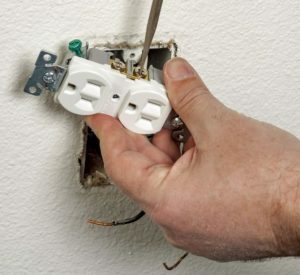 The thing to be aware of is that there is never any good reason for an outlet to simply not work, it can easily mean there is still something going on behind your wall that needs to be addressed before it is allowed to develop into a fire. Yet every year, people think that just not using this outlet or turning off the light switch that activates it will be enough. You should disconnect the power from the breaker box and call one of our professional electrician immediately. We want to be able to help you take care of your house and keep your family safe, but we cannot do that until you give us a call and let us know what is going on.